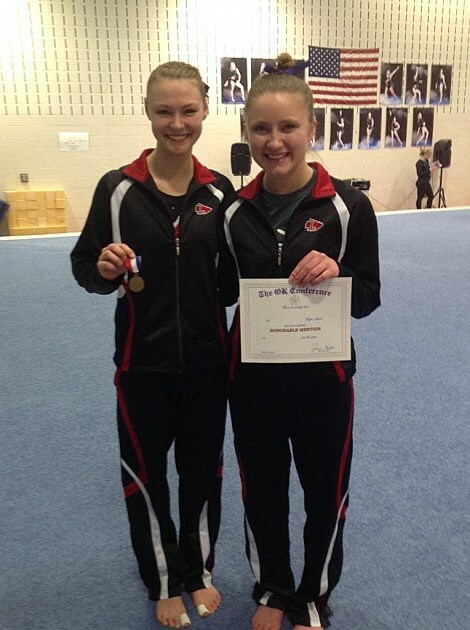 Lauren DeHaan, who captains Lowell High School’s gymnastics team, is this week’s Meijer-97.9 WGRD High School Athlete of the Week. The senior is Lowell’s top all-around gymnast, a three-year captain garnering all-conference honors twice and is a two-time state qualifier who won the balance beam at regionals last year. In 2014, she helped lead Lowell to its first MHSAA state finals appearance, where the Red Arrows finished 10th (Canton won and Forest Hills was fifth). 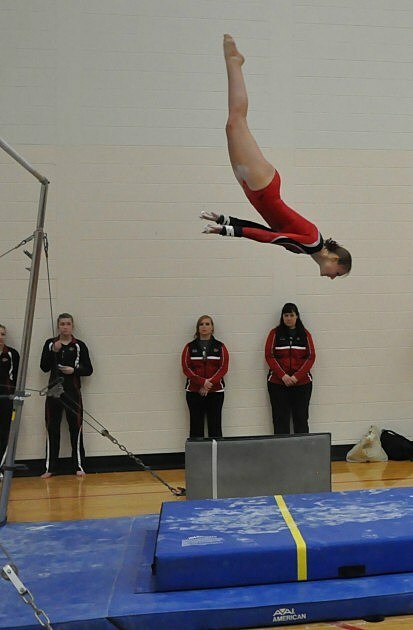 Last weekend, Lauren garnered all-Ottawa-Kent Conference Rainbow Division honors, finishing fifth in the all-around with a personal best of 36.225 points. She helped lead Lowell to a fourth-place finish (with Rockford-Sparta winning) and setting another new school record this season for scoring with 141.65 points. She also competes for Lowell’s girls’ track and field team as a high jumper and relay runner. In addition, she was formerly in sideline cheerleading, and will graduate with nine varsity letters for the Red Arrows. The daughter of Michele and Bill DeHaan is an honor-roll student carrying a 3.0-plus grade-point average at Lowell High, where she is also on the Lady Arrow Varsity Club and the school’s yearbook staff. In addition, she also competes for Red Arrow Youth Gymnastics. In addition, she has a community-minded heart. The summer after her sophomore year, she raised funds for a salon chair donated to Helen DeVos Children’s Hospital after her younger sister’s appendix burst and found she couldn’t wash her hair for five days while hospitalized. Also, she and her teammates raised funds at a mid-January Lowell meet saluting the military, with the Wounded Warrior Project and Operation Care Package being the beneficiaries. Keeping Lauren’s studies up has not been easy this past year, with both her grandmothers — one having had back surgery and the other having just become widowed — moving in with the family of five (her sister, Page, is also on the team; and she has a brother in eighth grade). “Despite sleeping on a mattress on the floor and having all the extra family things going on, Lauren still maintained good grades and stayed focused on her team to remain the highest all-around” performer, Michele said. While she plans to attend college, Lauren doesn’t plan to compete in gymnastics after high school. Congrats Lauren from Meijer and WGRD as well as Channel 95.7, 100.5 The River, 98.7 WFGR and 1410 AM The Touch.